Of all the changes, challenges and prospects that BREXIT may bring, for fishing there truly is a “Sea of Opportunity”. On Brexit we will exit the Common Fisheries Policy and there will be a change of maritime governance. The UK will take on the role of a Coastal State in charge of some of the best fishing grounds in the world. This will be a fundamental alteration from the compromised position of common access by other EU Member States to the fish in our Exclusive Economic Zone (EEZ), to one of beneficial sovereign rights and responsibilities for those fish. This is a very big deal. That we have sovereign rights and responsibilities and do not anticipate difficulties with other nations’ historical rights. See link with the Study by Dundee University. Download Opinion from University of Dundee here. Under current arrangements, what fish are caught in our EEZ and by whom? The answers are in the academic paper by Dr Ian Napier of the NAFC Marine Centre – in summary, the bulk of the fish in our EEZ is taken by other nations. See linked NAFC Report. Download UK EEZ 31/01/2017 here. Do we need access to other EU waters? In short, no – see link above, p59. Noting where the fish are caught, what proportion actually live in our EEZ? The answers are in the Aberdeen University study on “spatial distribution” – again to summarise, a very significant proportion of the important commercial species of fish are zonally attached to our EEZ. See link to Aberdeen University study. Download Aberdeen University Study here. Does our catching opportunity reflect spatial distribution? No, not even close. See the Aberdeen University study. What is at stake in making arrangements for post-Brexit fishing? Control and beneficial use of a considerable food and wealth producing resource allocated to the nation under International Law. If handled properly by the UK governments this will deliver significant additional sustainable economic activity, jobs and support to our communities. We repeat, this is a very big deal. What are the most important elements of Government policy for Brexit and fishing? The key to sustainable, beneficial managements of fish stocks within our EEZ is control of access to our waters for the purpose of fishing. 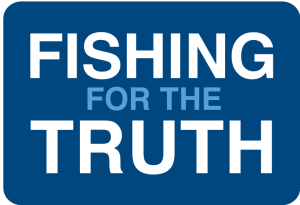 Up to the point of Brexit, the current arrangements will apply: there must be no ceding of rights of access to our waters and opportunities to fish before assuming the rights and responsibilities of a Coastal State.